Our Form Shorts combine lightweight, stretch yarns with panelled style lines for comfort that’ll keep you looking and feeling fresh. Tailored to give a slim-fit with an elasticated waistband and internal drawcord – these are the perfect match for your workout. Fit into Form – our lightweight training collection, designed specifically to support your session whatever the season. Firstly the shorts are a good quality and worth the money so in that sense I'm pretty happy. I would say that you need to pay attention to the fact the model if 6'2". These fit more like basketball shorts on me at 5"8' and drop to cover part of the knee. These have been made to suit the taller chap for sure. The knee area doesn't taper as that supposed to be on the quad so serves to exaggerate the baggy look. Its a disappointing fit for something called 'form' which suggests a more tailored fit. These shorts have a good quality material but they are on the large side. I am a 35" waist and I ordered small and whilst they fit around the waist they were still quite loose around the knees, but not as much as shorts i've had before. Happy with them. Bought these in Khaki, and they're the best "Khaki" I've seen - not too dark, not too brown. Incredibly comfortable. Will be buying more! 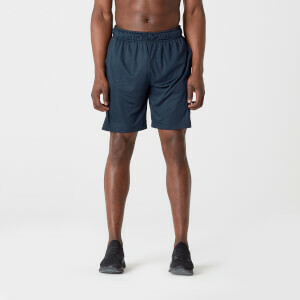 Excellent shorts for working out in the gym. Have now bought a couple of extra pairs in different colour. Very happy with the quality and as described on the website. Shorts arrived quickly as usual. The shorts are top quality great fit pockets are roomy and the material used is thin and light. Iam a 32 waist and shorts fit perfectly.